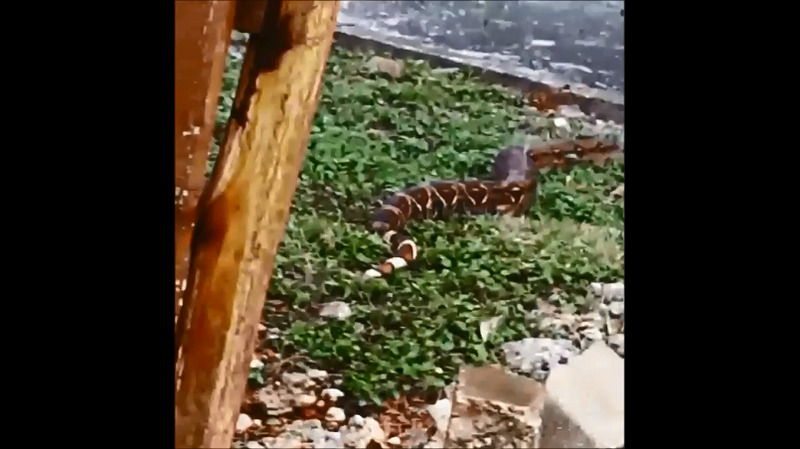 A video showing one cranky snake facing off against a vehicle in Biche is making the rounds on social media. 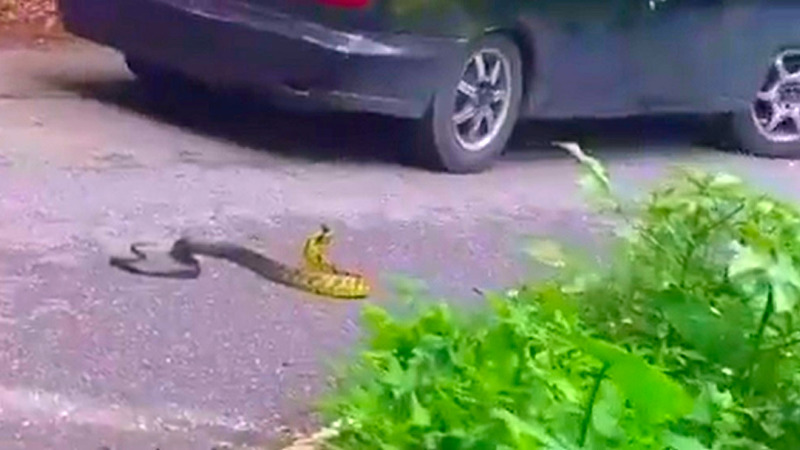 The video, which was shared to Facebook page Tringlobe on Sunday, showed the snake, which has been identified as a yellow-bellied puffing snake (Pseustes sulphureus), retaliating against a car which was trying to reverse next to the snake. It is now known whether the driver intended to try to drive over the snake, but the wily reptile quickly avoided the car and was seen slithering away into the bushes. 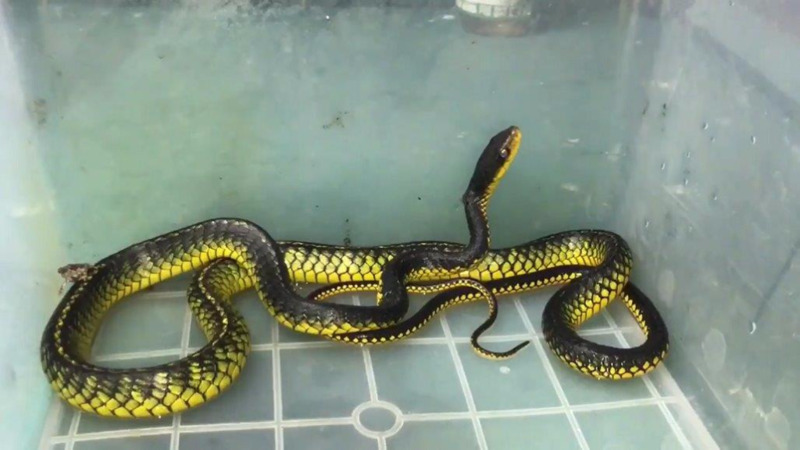 The yellow-bellied puffing snake, which is non-venomous, has bright yellow markings on its throat which it 'puffs up' if attacked. The snake can also vibrate its tail as a warning to anyone who tries to get too near. According to 'Snakes of Trinidad and Tobago', the puffing snake is one of the largest non-venomous colubrid snakes in South America and Trinidad, and has been found in low trees and has even been spotted in the Tamana Cave. These snakes typically feed on small mammals such as small lizards, mice, rats, birds, even other snakes, including venomous vipers. 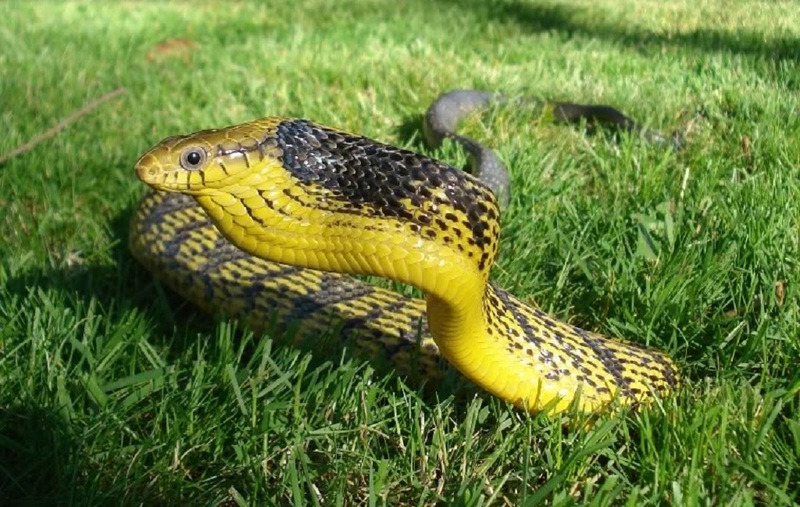 Yellow puffing snakes lay its eggs from June to August, with the young hatching in October. Locally the snake is also known as a liana snake, possibly for its habit of climbing low-lying trees. The yellow-bellied puffing snake can also be found in other parts of South America including Venezuela, Peru, Brazil, and Ecuador. 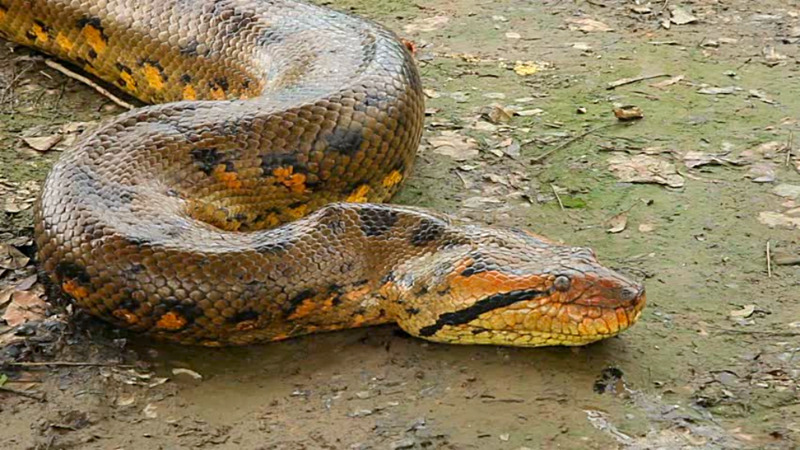 This snake is protected under the conservation laws of Trinidad and Tobago and it is advised to leave it alone if spotted. If wildlife is spotted inside your home, contact the Wildlife and Environmental Protection of Trinidad and Tobago (WEPTT) on 341-9983 or the Zoological Society of Trinidad and Tobago on 622-5344.